← 4 Years to Your First Million Dollars! To discover your Direction, block off 20 minutes of undisturbed quiet time. Have a pad of paper and a pen with you. At the top of the pad, write “What is the one thing I would want to accomplish most in life if resources, time and talent were not an issue and I could not fail?” Then close your eyes and meditate on that question. Let your mind wander in any and all directions. Don’t question anything, don’t qualify anything, don’t discount anything, regardless of how wild or outlandish it may seem. At the end of 20 minutes, stop, open your eyes and catch your breath. Now begin a brain dump, writing down everything that you can remember that crossed your mind in those 20 minutes, and continue writing until there is nothing left to write. Take another breath. Now, go over and read what you have written. Circle anything that stands out to you, that you have some energy for. Now make a list of the things you circled and take a good look at that list. 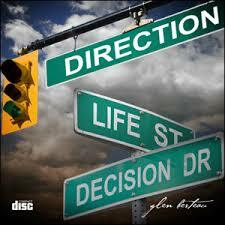 In this list is your Direction because this list is the essence of You. Whether it is by way of additional education, certifications, job or your own business, this is your path, this is your Direction. This path is not necessarily carved in stone. It can change over time, but it definitely is your starting point. 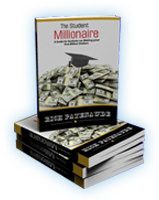 The Student Millionaire is about extending your life’s goalposts to include a Million-Dollar Goal. This Direction you’ve uncovered for yourself will also lead you to discovering your path to your First Million Dollars if that is something you put on your radar screen. I encourage you to do so for the Freedom it gives you to use your God-given gifts and talents, passions and interests to live your life passionately, bless the lives of others and help make this world a better place because you lived and you were here.